Roger D. Wintle is a founding shareholder of the Heritage Law Group, A P.C. He practices primarily in the Silicon Valley, San Jose office. Mr. Wintle received his undergraduate education from San Jose State University and advanced degrees from the University of North Dakota and the University of Bridgeport. He received his law degree from the University of San Diego School of Law in 1982. He is a contributing author to Broker-Agent Magazine, part time instructor, West Valley College Paralegal Program. Mr. Wintle began his legal career in Dallas, Texas in 1982, where he was an associate and later a partner with Shank, Irwin & Conant. Mr. Wintle subsequently joined the Dallas, Texas office of Finley, Kumble, Wagner, Heine, Underberg, Manley, Myerson & Casey, a national law firm with headquarters in New York City. Mr. Wintle moved to California in 1989 where he joined the San Jose law firm of Ferrari, Alvarez, Olsen & Ottoboni, first as an associate and later as a partner. Mr. Wintle and Terence Kane formed the law firm of Wintle & Kane, LLP in 1995 and that firm subsequently merged with the Heritage Law Group in 2003. 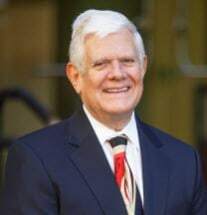 Mr. Wintle currently serves on the Board of Directors of the San Jose State University Alumni Association and the Greater San Jose Hispanic Chamber of Commerce.